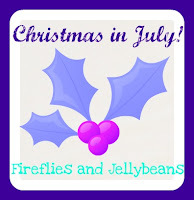 Fireflies and Jellybeans: Chirstmas In July with Smallgood Hearth! 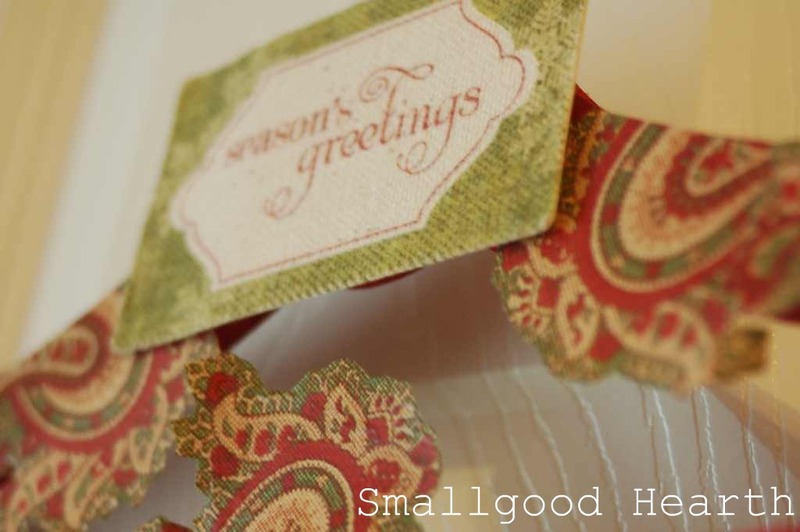 Today we are with Smallgood Hearth! Hi! I'm Smallgood (well, that's my blogger alter ego at Smallgood Hearth), on a crusade to abolish the use of the word "perfect" and love myself (and my imperfections) fully. 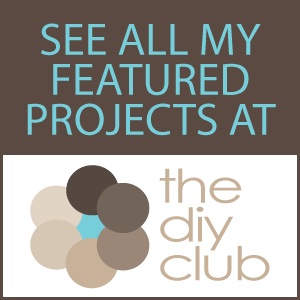 My favorite craft projects are cheap, fast, easy, and sentimental. My husband (whose blogger name is Bigbad) and I are a young old-married couple (bickering is an effective method of communication, right?) 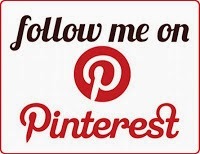 that love to play board games, try new foods/recipes/restaurants, listen to NPR, and read. 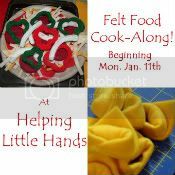 You get a mix of all that on my blog, so if that sounds like you too, drop by and leave a comment so I can "meet" you. I tend to like things out of season. Case in point, nothing makes me crave ice cream more than a frosty winter night. I get that it's a little crazy. 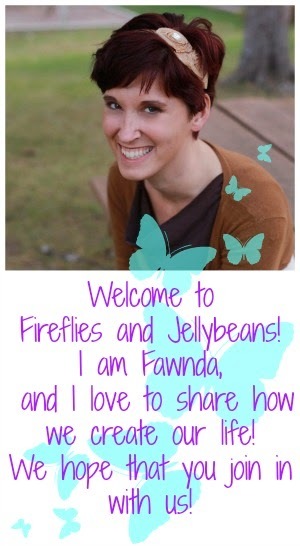 So when I read that Fireflies & Jellybeans was going to host a Christmas in July series, I was already prepared. Despite Bigbad's birthday and all the amazingly fun summer holidays and events, I'm stuck singing Christmas carols and making some winter holiday crafts. I'm in a unique position. I married a man that was my friend in high school (aww), which means we have duplicate yearbooks. Yeah, I know-- strange little problem to have. 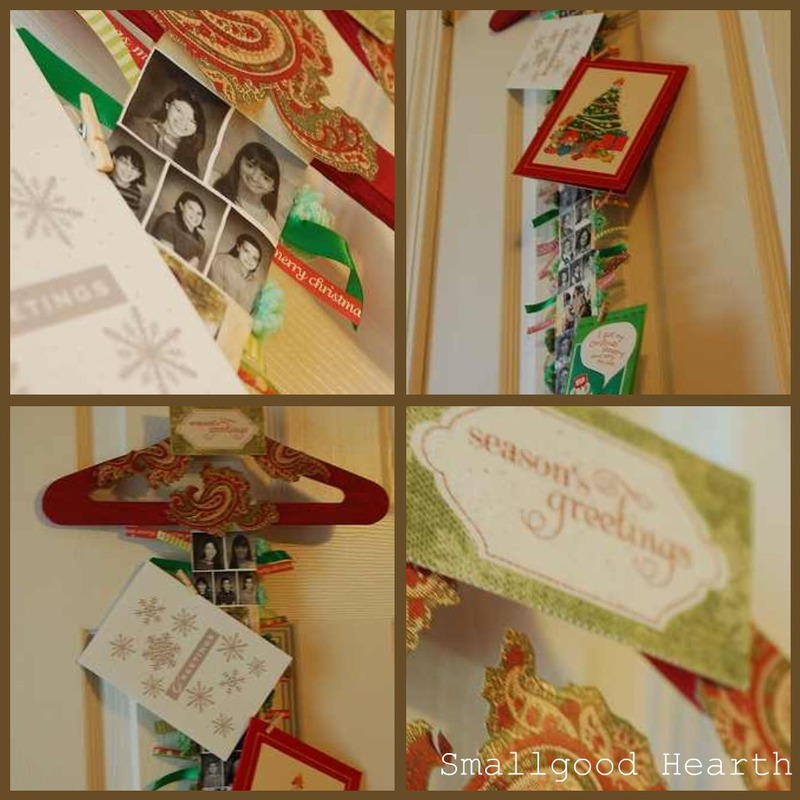 The idea of a card display gradually came to me, and I loved the idea of metaphorically old friends mixing with new friends, of faces past and faces present mingling in holiday cheer. It was so simple, it had to work. You aren't going to need much if you're going to duplicate my card display. I got a long strip of calculator tape (register tape would work too) from Smallgood Pop, but if you don't have a grandfather that still uses an adding machine, find a roll at an office supplies store. 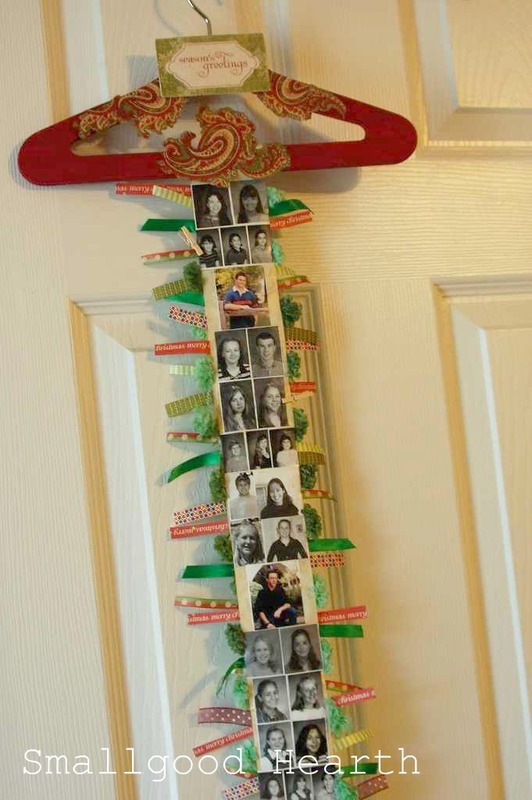 I found a small clothing hanger at a craft store for $1. The tools of the trade I used were a stapler and Mod Podge. And I gathered up an armload of ribbon that seemed holiday enough (Note to self: buy more holiday ribbon). Of course, I also cut out a bunch of yearbook pictures. If you aren't as brave as I am, it's okay to make copies of the pictures you want to use. 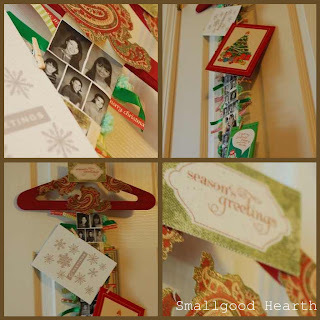 Or you could use images cut out from Christmas cards past (I love to upcycle those into craft projects too). 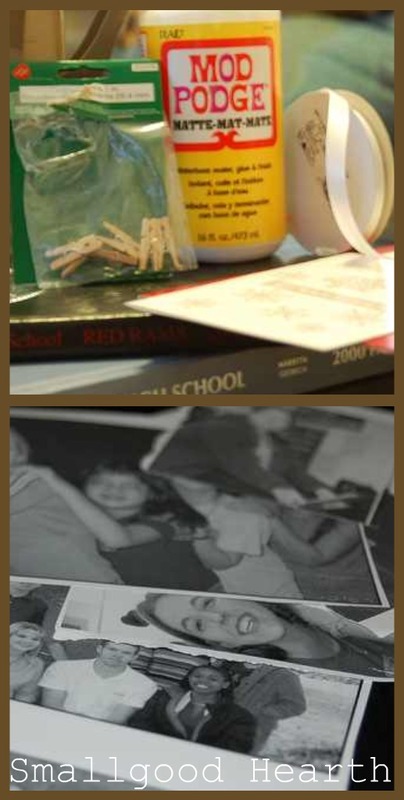 The first thing I did was fold my long strip of calculator tape in half (it was originally about my height and then some-- maybe 6 feet or so) and arranged the photos on it with the folded edge as my bottom. I didn't want a lot of white space. 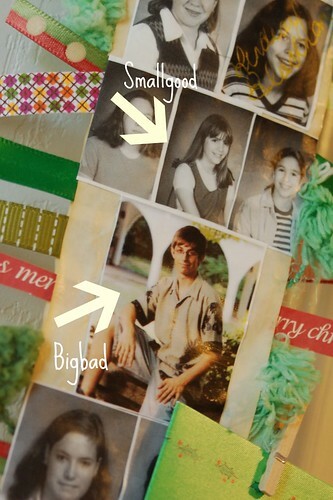 When I was happy with the arrangement I used Mod Podge to glue the pictures down. 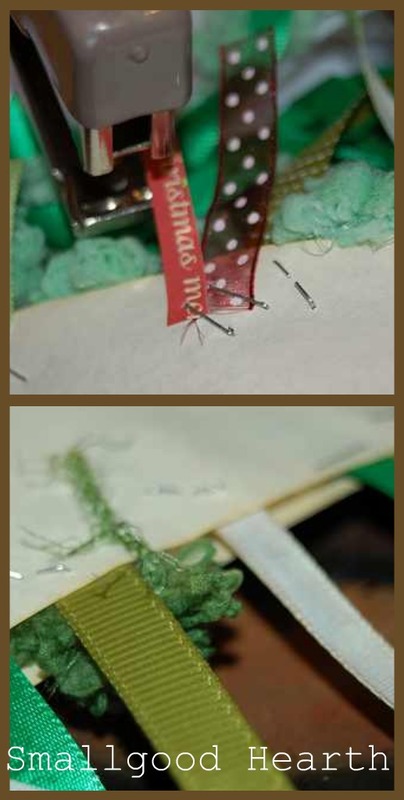 On the underside (the one without the pictures), I began taking small strips of ribbon and stapling them along the side. This is why you want to fold your paper in half (or have a second sheet behind it) because you don't want to staple right on top of those fresh faces. I then used Mod Podge to attach the paper to the hanger and also to glue the underside with the stapled ribbon to the back of my pictures. 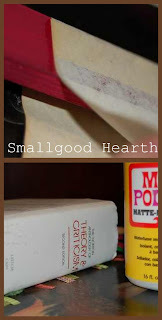 Bigbad's Theory and Criticism text helped to keep the paper flat as the Mod Podge dried. Thanks Dear! If you had some doublestick tape, that might be a good substitute for the Mod Podge. Another coat of Mod Podge on those photo corners was needed. 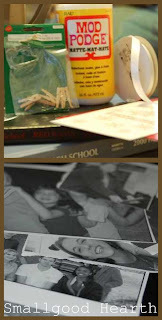 I added a few decorative elements from my scrapbooking stash. Stickers, stamping, letters/shapes from a Silhouette could all dress it up and customize it. I found teeny tiny clothes pins at my craft store that would hold greeting cards to the card display. I'm hoping that as the decades go on we'll get even more laughs out of the hair styles and clothing choices and down-right awkwardness of school portraits. I had to stage this with old Christmas cards. Too bad folks don't send out holiday cards in August. Phooey. I'll just be prepared come December. Great idea for a card display! I LOVE getting Christmas cards but always wonder how I should display them!